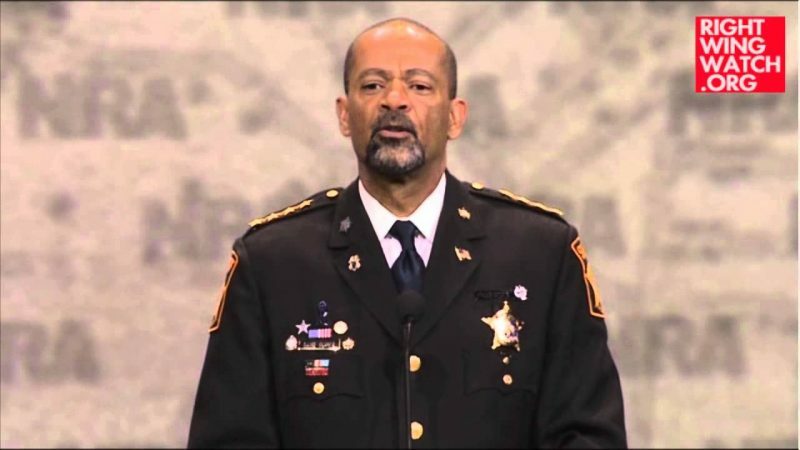 David Clarke, the sheriff of Milwaukee County, Wisconsin, and a favorite of Fox News and the right-wing media, will deliver the keynote address to a meeting of the New York chapter of the radical anti-government group Oath Keepers next month, according to an invitation on the group’s website. 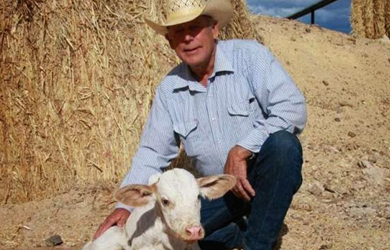 Clarke’s association with the anti-government fringe is nothing new: In 2013, he accepted the “Constitutional Sheriff of the Year” award from the Constitutional Sheriffs and Peace Officers Association, a group that believes that county sheriffs are the highest law enforcement officers in the country and have a duty to defy federal laws on issues like gun control and health care. At that event, he shared the stage with Oath Keepers head Stewart Rhodes and a number of other radical activists. The core idea of the group is that its members vow to forever support the oaths they took on joining law enforcement or the military to defend the Constitution. But just as central is the group’s list of 10 “Orders We Will Not Obey,” a compendium of much-feared but entirely imaginary threats from the government — orders, for instance, to force Americans into concentration camps, confiscate their guns, or cooperate with foreign troops in the United States. 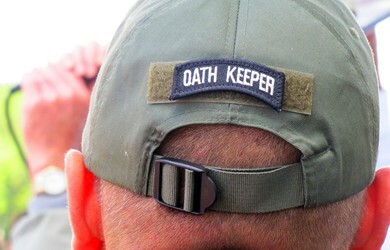 These supposed threats are, in fact, part of the central conspiracy theory advocated by the antigovernment “Patriot” movement of which the Oath Keepers is a part — the baseless claim that the federal government plans to impose martial law, seize Americans’ weapons, force those who resist into concentration camps, and, ultimately, push the country into a one-world socialistic government known as the “New World Order.” In 2013, the group took on a more aggressive stance, announcing the planned formation of “Citizen Preservation” militias meant to defend Americans against the New World Order. Rhodes, the group’s founder, regularly turns to the far-right media to promote conspiracy theories about a coming civil war in which the federal government will use some combination of race war, Jade Helm 15, gun laws, Ebola, death camps, Black Lives Matter and radical Islamists to subdue an unarmed and unprepared population. Clarke has been embraced by Fox News, and even by politicians like Wisconsin Gov. Scott Walker, in part because of his fiery dismissal of critiques of the criminal justice system and in particular of the Black Lives Matter movement. They are seemingly willing to ignore Clarke’s association with an extremist fringe movement.